While most Writers Guild of America nominees of genre interest were not among the winners announced on February 13, one winner is very well-known to fans. 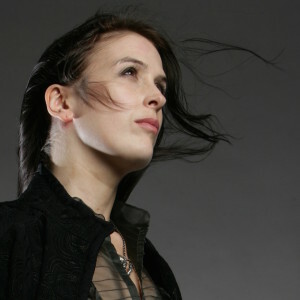 Rhianna Pratchett was the Lead Writer for the team voted the “Outstanding Achievement in Videogame Writing” award for Rise of the Tomb Raider. Other team members were Lead Narrative Designer John Stafford, Narrative Designer Cameron Suey, and Additional Writer Philip Gelatt. The WGA screenplay nominations did not include four Oscar nominees — the adaptations of “Brooklyn” and “Room” and the original scripts for “Ex Machina” and “Inside Out” — which were excluded because the scripts were not produced under WGA jurisdiction. This entry was posted in Awards and tagged Rhianna Pratchett, Writers Guild of America Awards by Mike Glyer. Bookmark the permalink. I was kinda rooting for Witcher 3, but congrats to the Tomb Raider team. Look forward to playing it (it only came out for PC couple of weeks ago, and am currently busy freeing the world from alien oppression in XCOM2). “Going Clear” is on my Hugo nomination list for best related work (well, Scientology is an offshoot of a prominent early SF writer), if I ever get my PIN.